Today was a BIG clean up day in the garden because the heat of summer ebbed a bit! 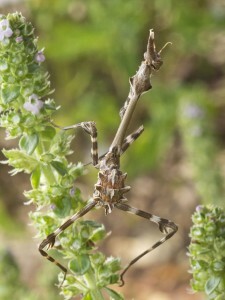 I was pulling out old, woody herbs in the Patio Patch, and was startled to see this AMAZING thing!!! What was it?? Ran to get my camera and macro lens and found out it was an exotic Praying Mantis. Oh my WORD!! I have never seen anything like it before! I called it the Samurai Mantis! It was so agile and would not stand still for a moment. It was difficult to get these shot, I tell you! It jumped and ran and it was difficult to spot. Now my curiosity was piqued. 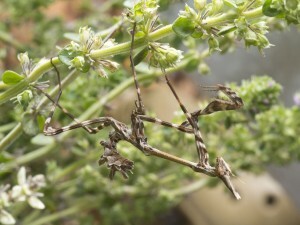 Onto the Internet and I found very little on these exotic Praying Mantis’. Even Wikipedia had nothing on them – where they originate from etc. All I know is that it is called: Empusa Fasciata – Devil’s Horse – Ghost Mantis. I found out, through the photos on various websites, that this one is a Female Nymph. 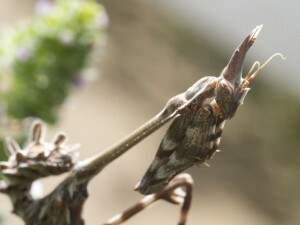 She looks similar to the Male Nymph, but her antennae are thinner. Here she looks like a Samurai, hey? She now turns her back on us! Well, that was the most amazing and WEIRD thing I’ve seen in my garden so far. Does anyone know or have information on this species of Praying Mantis? I found one exactly the same as yours. I was so intrigued by this beautiful creature that I’ve kept mine ever since. I can’t seem to let it free although I know it should be out in nature living freely. Where did you find yours? I live on a farm outside of Robertson, South Africa. It looks like a terrestrial seahorse. 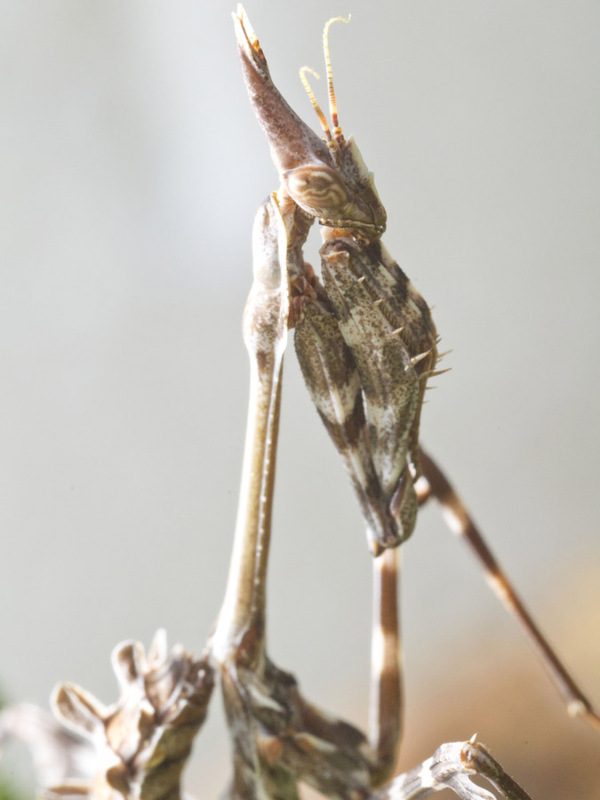 Could it be a color phase that the brown mantises evolve through? Hi Carolyn – it does too! I also thought so! The research I did showed this as a specific species of mantids – one of the exotic mantids, but where is originates from there is no information – just photographs. Wow, amazing photos! I would sure be interested to know more about it and where it came from. It must be pretty rare if there’s no info on it on the internet! wow! What wonderful photographs of this amazing creature. Science fiction and horror movie filmmakers should have an entomologist on staff. Haahaa. Absolutely!! Spielberg – check out this one! I love these images. 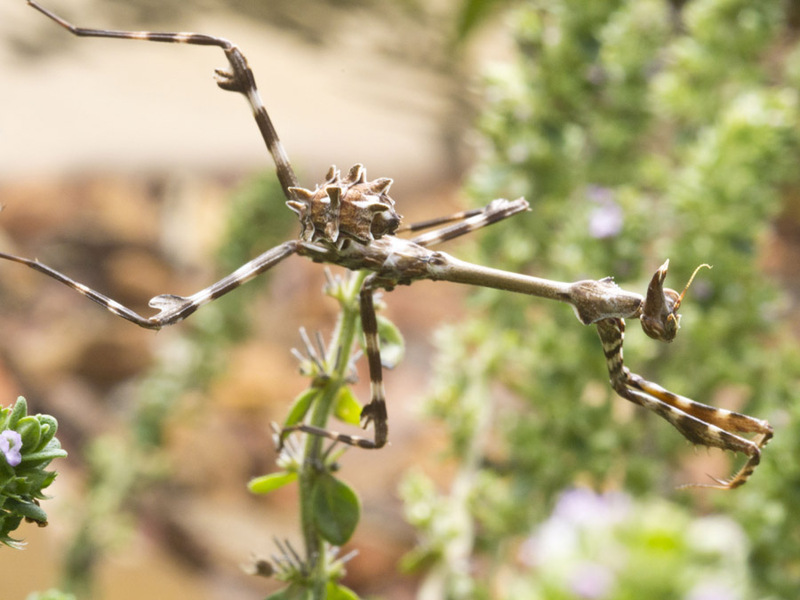 This is such an unusual, (for here), mantis. 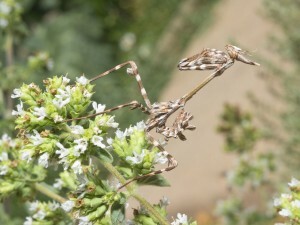 I never even saw a photo of this type of mantis before. Thanks for posting it. Hi Donna – very unusual for here too….. but I guess we must expect weird bugs in Africa! WOW I’ve never seen anything like that. Congrats on capturing so many photos of it. 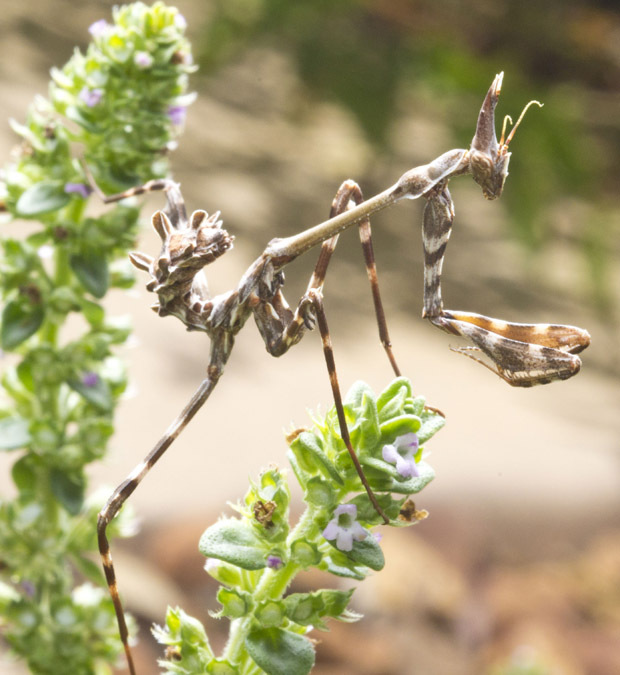 I’m so curious to know exactly what type of mantis it is. If you find out, please post an update! Thank you! Well, I did my research but there is nothing, so I will keep looking. All I know is it is called a Devil’s Horse. Oh my … very strange looking. 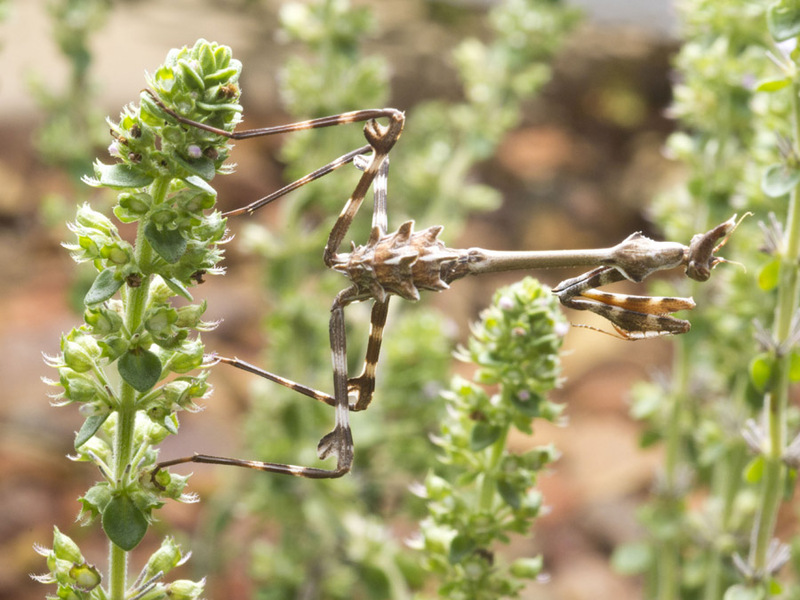 I’m not sure I would have spotted this or, even if I did, I doubt I would have recognised it to be a mantis of sorts. Well done and thanks for all the amazing photos!! 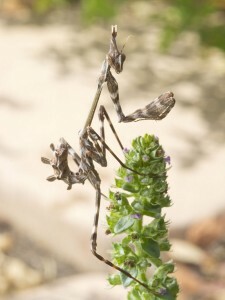 Last night I saw a praying mantis scurrying across an outside chair. It was beige! I didn’t pay too much attention because I had something else to do. But I did briefly think: it’s running so fast! Usually the others (the green ones) I see in the garden just sit still on a leaf or twig. And I did wonder why it wasn’t green. However, it certainly didn’t have the interesting markings your one has. 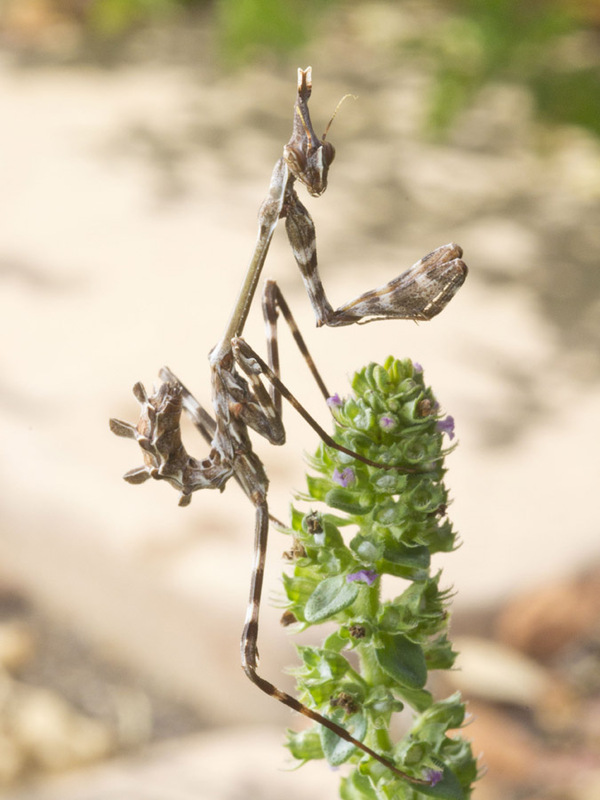 Thanks Marilyn, doing research on this species I did come across tons of different types of mantis – there are lots!! So I also learnt something new! Oh Dear! They look like out of world, alien creatures! They must be alien from some far-away planets . For sure!! I thought the same. 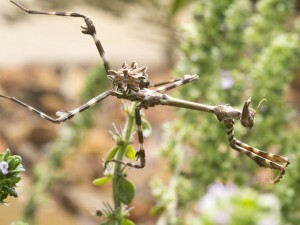 I think Spielberg gets his “aliens” from our very own insect families! Amazing! We certainly don’t have those here. 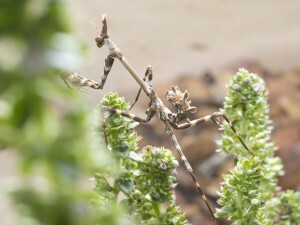 A mantis that wouldn’t stay still? Maybe you were making it nervous. Or maybe that’s just the way this species acts. Thanks so much for posting this, and keep an eye out for it throughout the summer. I’d love to see what it looks like when grown up. Oh for sure!! Gonna be difficult, but if there is a nymph, there must be more……!! Wow- that is the most amazing thing I’ve ever seen! I hope she has lots of babies in your garden. Oh, Barbara, how wonderful! I wish we could host one here in the north. Thank you for posting this so I could at least see one. That is not even IN my South African insect book. 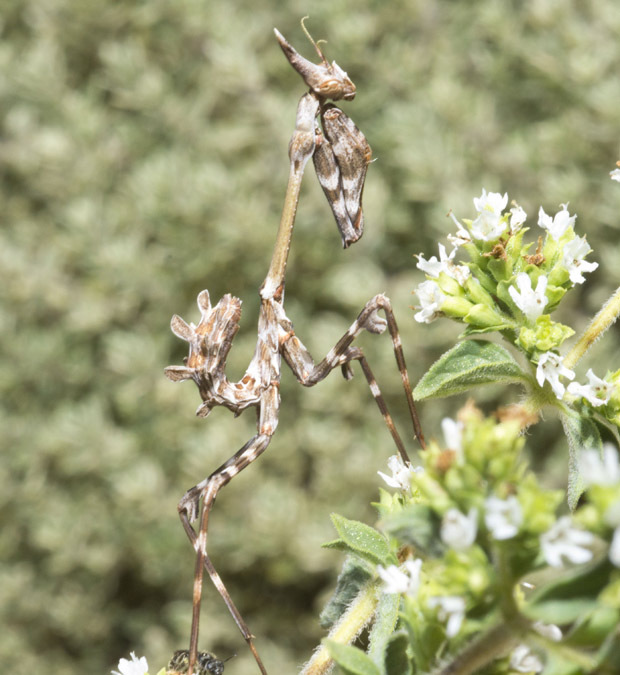 But they do call the group Gargoyle mantids. Weird – hey???!! There is NO information on the internet – so must be VERY exotic!